Tascam has smartly realized that there is an entire generation of solo videographers and filmmakers making run and gun productions who can’t possibly be able to handle all of their sound recording requirements, but still require good sound, and hence they created the Tascam DR-10L, a standalone audio recorder with lavalier microphone. For years Sennheiser wireless lavs have been the stalwart of the video business. While often scoffed at by on-set sound mixers and recordists as being inferior to the far more expensive Lectrosonics wireless system, the Sennheiser G Series wireless lavaliers were, and still are, very good. They are, however, still relatively expensive, and potentially cumbersome. Even with new lineup additions like the Sennheiser AVX system that makes sound recording life significantly easier, there are still a number of hurdles to using a wireless system. The rapid shift in popularity of shooting video on a DSLR quickly led to the creation of an external recorder category of device in order to get professional audio to go with the amazing picture possible on these much smaller and more accessible cameras. The problem here is that this particular style of dual system recording is very cumbersome, and often leads to mistakes The recorders, while small, were still too big to be really efficient. Some videographers carried them in bags, some mounted them to the camera in some frankenrig kind of configuration. Audio quality yes, usability no. Tascam has smartly designed the DR-10L to be a standalone recorder with a lavalier mic that records to Micro SD cards all in a form factor smaller than the typical wireless lav mic pack. The fact that it is standalone has one major drawback — you cannot monitor audio at the camera, so there is no way of knowing if what you are recording is good. While this is a fairly major drawback, Tascam has incorporated some key features to set the videographer up for success. Within this tiny recorder two safety features exist: simultaneous safety track recording, and an audio limiter. You can use either or when recording to ensure that your audio stays within the safe recording limits and does not clip. My preference is the safety track recording as it records a second track at a lower level just in case it gets noisy. I don’t typically like using the limiter function for interviews, but there might be situations where I would use that feature if I knew the audio levels would need to fluctuate heavily. To set recording levels manually there is a simple option of High / Medium / Low. While the features in the recorder take care of the audio level issue, not monitoring sound while recording can be very disconcerting. Nothing is worse than getting home and realizing that the recorded sound has tons of scratching from clothing, or a necklace clacking up against the mic, or too much wind or traffic noise. The only way to combat this is to have excellent mic placement. This is certainly possible, and an experienced sound recordist would know where to put the lav to ensure good audio, but I’m guessing even they would be uncomfortable with not hearing what’s happening. This is a huge fault of this system, but it is by design, so it is not really a fault, just a limitation. Read on for my opinion on what this mic/recorder is very good for. In my experience using the Tascam DR-10L (I have two of them now), there are a number of situations where the DR-10L excels and is an excellent tool to record very good audio. Vlogging — it is very difficult to record yourself and monitor audio anyway. This gives a compact and simple solution to record good audio for your Vlog which you can easily sync to your camera audio later. There is actually a way to monitor audio using standard 3.5mm headphones, so if you are wearing the pack and want to monitor the sound it can be done that way for an audio check. It is just difficult to get that signal back to camera. Multiple cameras with one operator — I have recently been shooting interviews with my Sony FS5 on a tripod, but then have a secondary b-camera setup on a gimbal for walk and talk shots. Using a traditional wireless setup becomes cumbersome as the audio is recorded into the camera, so in this case I can keep recording audio and just switch cameras. No need for moving transmitters around, or trying to mount the FS5 to the gimbal. A little bit of post synchronization is required of course, but it is a very slick system to go from one camera to another without interrupting the flow. Of course the audio monitoring issue applies, but smart lav application and paying attention to the sound situation with your ears as you record mitigates some of the risk. Multiple person interview — I have had shoots with four people being recorded simultaneously like on The View, but with only me as the camera person and no sound recordist. It is almost impossible to nail the audio and monitor four channels of audio at once. In the past I have used four Sennheiser G-Series wireless mics, but the potential for issues in that situation is also very high given potential radio interference on top of all of the other usual sound problems. Adding a couple of DR-10Ls into the mix would make for a very easy recording setup. Again, being very careful of mic placement. Additional audio recording — placing one of these mics to capture ambient sound, or on a lectern to capture audio could be very useful in post. Wedding videography — I don’t make wedding videos, but if I did I would own at least 3 of these. One for the bride and groom, and one for the officiant. During the reception you could place these creatively for speeches and toasts. They smartly come in both black and white. Off-speed recording — Shooting at 120fps looks super cool. The only problem — no audio. Utilizing a compact recorder like this could net you some decent audio to use in your final mix when it seems a little weird that there is no sound. Of course you could go foley something up, but this would give you some options if that opportunity doesn’t present itself. Just in case — I carry one of these in my camera bag with my mirrorless camera just in case. Sometimes I stumble on a great interview at random, and this is a way that I can “just shoot it” without thinking too hard, and have it come out looking and sounding great. So the bottom line for me is this: the Tascam DR-10L is an extremely versatile tool. It is not a replacement for a wireless lav kit, but is often very handy and I find myself using it more and more. For the price I can’t afford not to have one of these in my kit. The key here is knowing the strengths and limitations of the device and how to employ it. If you’re a veteran filmmaker working on your own at times you’ll find this to be an incredible problem solver. 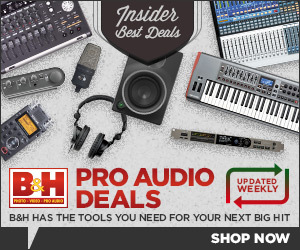 If you’re just starting out this is a great place to start getting great audio on a budget. You could buy at least 3 of these for every 1 Sennheiser wireless lav kit.